“You get a girl shot and you don’t even bring her booze?” Valerie Vale just vaulted to the top of my favorite characters list. Tetch’s latest plan involves a blood-based infection called the Red Queen, which he’ll use to take out the heads of Gotham at the Founders Dinner. And yes, he makes a pun about how heads will roll. 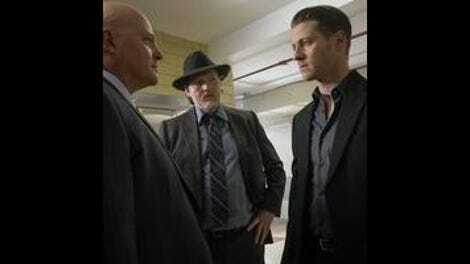 Before long, Barnes figures out the plan and the GCPD save the day. Just like that Tetch is locked up in Arkham. 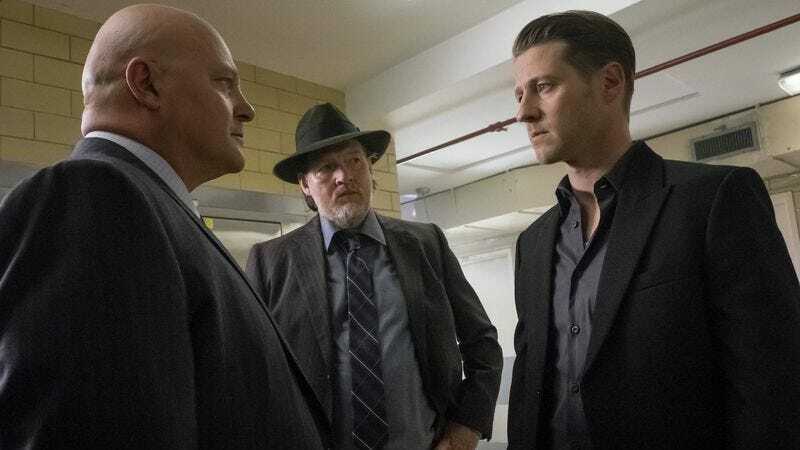 I’ve said this before, but I’ll say it again: it’s really hard to buy into the supposed consequences of these stories each season when Gotham has a tendency to go through villains like napkins at a BBQ joint. “You have exquisite femurs.” Oh Nygma, stop denying your true feelings. Speaking of which, while I do wish the show would commit to Nygma and Cobblepot as an actual couple, I certainly appreciate the effort being put into the details of this plot. The shared affection, and now tension with the inclusion of Isabella, makes for a complicated love triangle that’s infinitely more affecting than any of the other romances dragging down the other plots in this season. It’s really a shame that Valerie Vale’s lone role so far this season has been to help Jim realize that he still loves Lee, something that everybody watching already knows. Feels like a waste of potential for that character. “Skip the preamble.” Mr. Barnes, do you not understand that Bullock’s appeal is his propensity to engage in preamble? Nothing in this episode is more devastating than seeing Cobblepot frantically calling the cops with a Missing Persons report when he thinks something bad has happened to Nygma. Gotham doesn’t make me actually laugh out loud too often, but Cobblepot’s reply to Isabella’s question about whether or not Nygma had been in Arkham got me: “I make it a policy to not gossip about staff, but…” he says before quickly mouthing “yes” in the most exaggerated fashion. Robin Lord Taylor’s delivery there is brilliant. Apparently the Court of Owls have been keeping an eye on Cobblepot, and could have some plans for him sometime in the future. After a hallucinatory fit that only ends when he’s saved by Mario, Jim finds the inspiration to go back to the GCPD after being reminded of the message on a family ring given to him by his father. The twist? We see that same ring on the hand of a member of the Court Of Owls at the end of the episode. Who this man is remains a mystery for now. Like so many villains before him, he loves to sit in the shadows.